Over 18 million people visited Newcastle last year. So why not head to Tyneside to find out what all the fuss is about? Here’s how to make the most of this great northern city in 24 hours. First things first – drop your bags at Roomzzz Newcastle. No worries if you arrive before check-in time, we’re always happy to help you take a load off. Honestly, if we could breakfast at Violets every day, we would. The brainchild of Abbie Atkinson (wife of Michelin Star chef Kenny Atkinson), this cosy Quayside cafe is the place to fuel up for a day’s exploring. Expect on point shabby chic interiors and the most mouth-watering full English you’ve ever eaten (that Michelin Star must have rubbed off!). 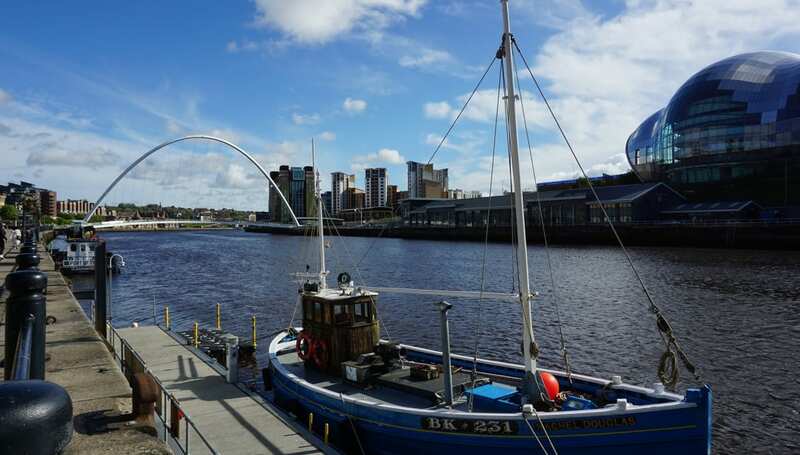 While you’re at the Quayside be sure to see the Millennium Bridge – known locally as the “blinking eye bridge” – and you’ll find out why if you hang around for a short while. Instagram at the ready, this is one of Newcastle’s iconic landmarks. Be cultured…just for once, promise! 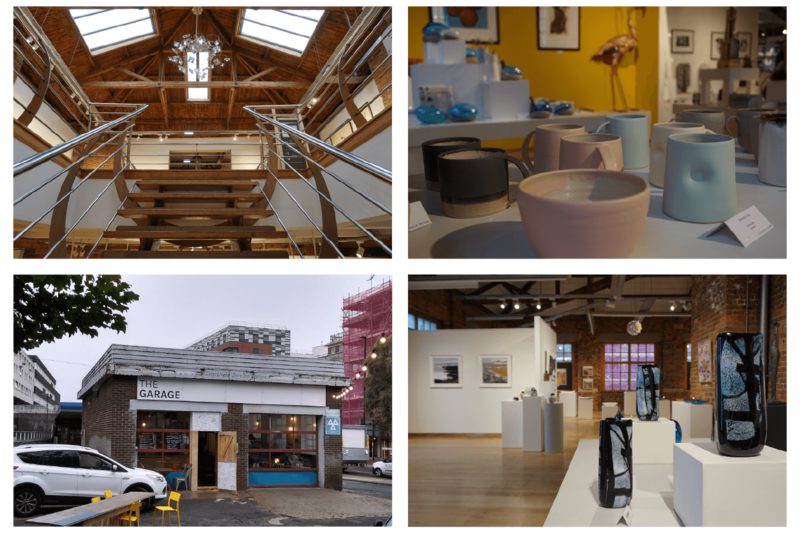 Time to take in some of the city’s culture; The Biscuit Factory is an art lover’s paradise. It’s the biggest independent gallery in the UK, bursting at the seams with unique, artisan prints, sculpture, ceramics, paintings and jewellery by emerging and mid-career artists. The gallery sits in a refurbished Victorian warehouse with exposed brick walls and beamed ceilings. Sorry, but it’s going to be hard to leave without a buying a memento! We fell in love with Julie Dumbarton’s vividly coloured oil paintings. Just across the road there’s a quirky little cafe called The Garage. The building was actually a garage in a previous life, there are car parts mounted on the walls and MOT signs scattered about the place to prove it. It’s a great spot to grab a coffee on the go. The delicious craft beer at By The River Brew Co’s Brewery and Tap should be enough to tempt you across the river to Gateshead. We tried a cherry, vanilla, coffee porter and it went down far too easy! There’s a stove with a real fire, a relaxed atmosphere and we like that you can see through to the brewery from the bar. This trendy shipping container community is right next to the river, underneath the Tyne Bridge so you’ll get a great view of Newcastle while you sit and sip. Stack is a creative hub in the heart of the city filled with independent shops, bars and places to eat. We can’t even handle how cool this place is – there’s live music, pop up bars and photo booths to boot. 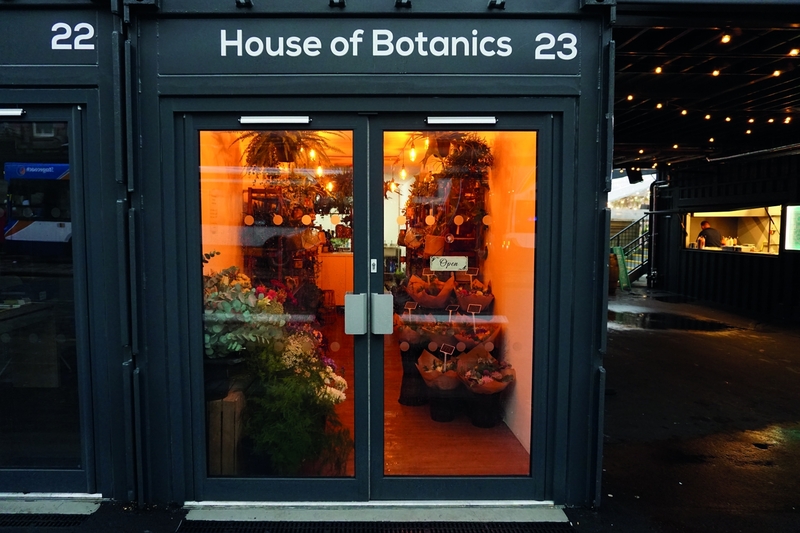 If you’ve got green fingers you’ll love House of Botanics – they sell Pinterest-worthy house plants and bouquets. Ethical clothing label, Uncaptive, caught our eye too. If you want to take in the charm of a traditional, covered English market head to Graingers Market. You’ll be transported back in time as you hear the traders’ calls. Nan Bei, one of Newcastle’s best kept street food secrets is here. Gorge on the most delicious Chinese dumplings or sticky buns, and help yourself to garlic sauce, fresh spring onions and as much soy as you like. It’s been a full on day so you’re bound to be flagging a bit. Roomzzz Newcastle City is slap bang in the city centre so it won’t be a long walk, and we’ll have you checked in in no time. Kick back (not literally, we don’t want you getting hurt!) and make yourself at home. You could channel your inner chef in your fully-equipped kitchen…or you could go for a life changing burger at Fat Hippo. Trust us, this is where all of the locals go for great scran (that’s Geordie for food!). 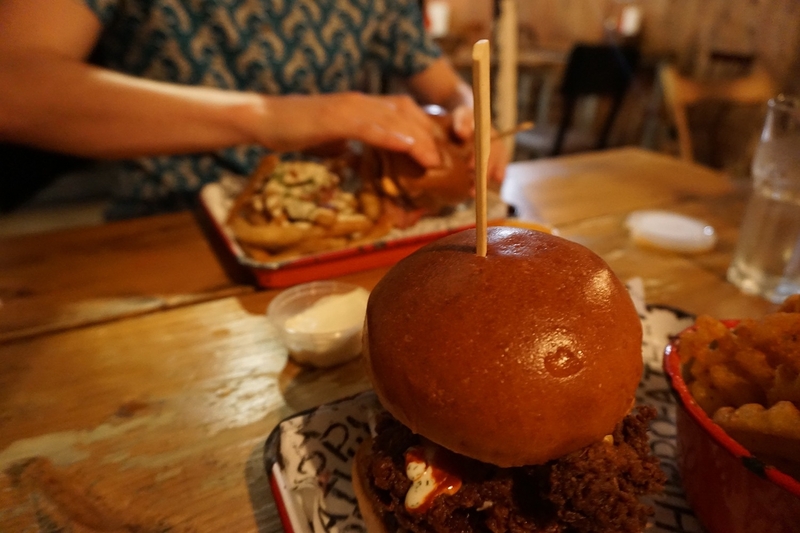 Whopping burgers and waffle shaped chips are served in red tin trays in this industrial style, underground joint. The club classics playlist is right up our street too. Walking into Lola Jean’s is like walking into another world where everything is fabulous. This bar has a classy, vintage vibe. 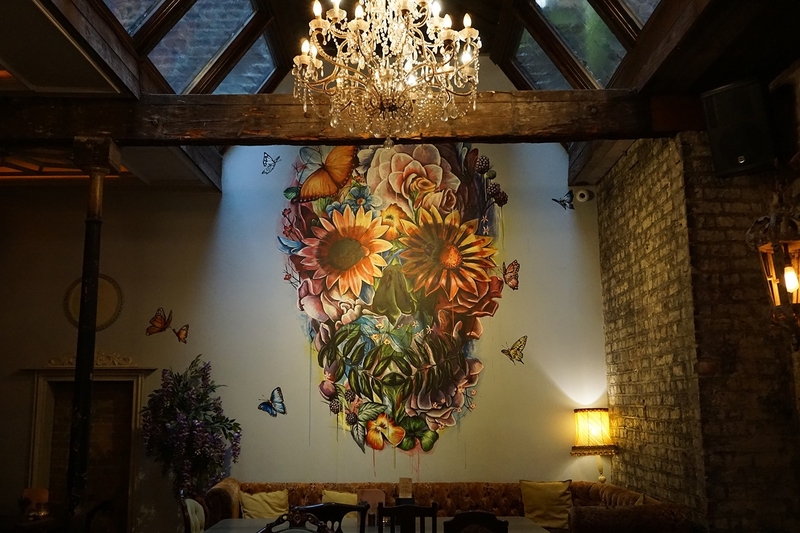 The bar looks like a gigantic chest of drawers, there are cut glass chandeliers hanging from the ceiling and a flower skull mural on the back wall. The cocktails don’t disappoint either. The imaginative menu is themed by inspiration such as the seasons and the north east region. Fancy one more? Get yourself to No28 bar to soak up the enchanted garden vibe. Fake foliage and bird cages hang from the ceilings, there are flowers spilling out of gigantic urns and you can enjoy a tipple sat in bed. Cocktails, wines, local ales – whatever you’re drinking, they’ve got it. Need we say more? After a long day, a heavenly night’s sleep is waiting for you back at your Roomzzz apartment. We’ll have a Grab & Go complimentary breakfast ready for you in the morning, just to help ease you back into reality. Check availability at the Newcastle City Aparthotel here. Share your stay with us on Instagram by tagging #Roomzzz for a chance to win a free night’s stay at any Roomzzz Aparthotel across the country.